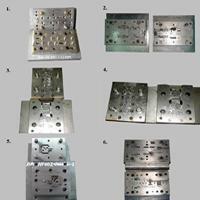 Dies - Mcm Stamping Co., Ltd.
MCM is a reliable manufacturer of metal stamping and related solutions. The progressive dies series are made of quality steel, which is suitable for encompass punching, coining or bending. We are professional and experienced in metalworking in the industry, so we’ve been providing customer quality dies and parts for various demands.